Need a barn name for your horse? Some horsewomen/men name their horses after a particular trend, while others keep the name the horse arrived with. But what happens when your new horse does not have a name? Well, we have come up with a few ideas to help! Abbreviation of Registered Name – Abbreviating a horse’s registered name is often the easiest way to create a horse’s barn name. Registered names are often long and complex, leaving many different types of abbreviations. Personality – Choosing a name that reflects your horse’s personality can be very entertaining. A personality-based name will foreshadow what new-comers can expect when they first meet your horse. For example, if you go to a new barn and are assigned a horse named Rampage, you should probably prepare for a wild ride. Heritage – Picking a name that reflects your horse’s heritage often gives you a variety of options. You can choose a name in the language of their country of origin or a name that honors their ancestry. For example, if you recently bought a Hanoverian gelding, whose breed originated in Germany, you could give him a German name like Herbert (meaning famous warrior) or Otto (meaning wealth). Movies/Books -Do you have a favorite horse from a movie/book? Then why not give your horse the same name. There are plenty of horse names to choose from. Plus if you get to know your horse, you can name them after a book/movie character that had a similar personality. Ex: Flicka, Smoky, Stormy, Pie, or Trigger. 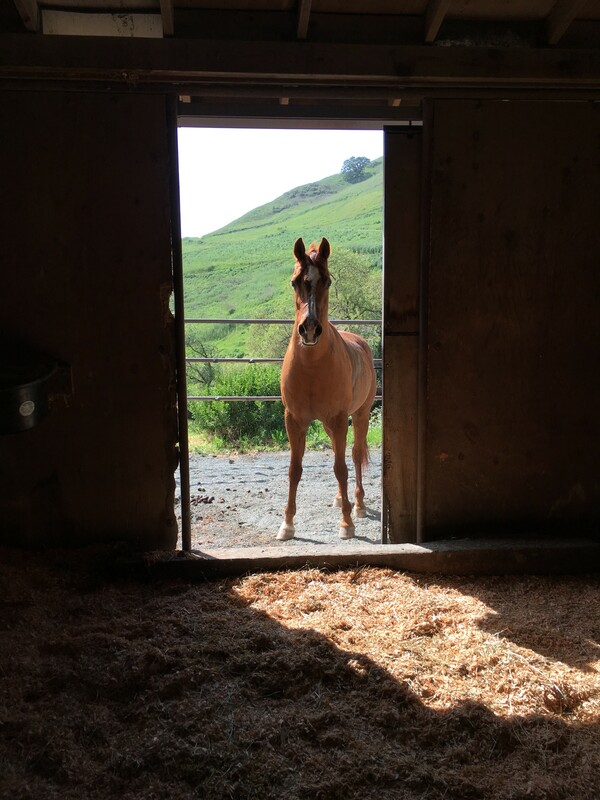 Locations – Did you buy your horse from an unusual place? Some horse owners choose to name their horses after the town they bought them from. Usually these names are very unique and also have a neat meaning behind them as well.